Knopf Books for Young Readers, 9780375850776, 352pp. Meet Mare, a World War II veteran and a grandmother like no other. She was once a willful teenager who escaped her less than perfect life in the deep South and lied about her age to join the African American Battalion of the Women's Army Corps. Now she is driving her granddaughters—two willful teenagers in their own rite—on a cross-country road trip. The girls are initially skeptical of Mare's flippy wigs and stilletos, but they soon find themselves entranced by the story she has to tell, and readers will be too. 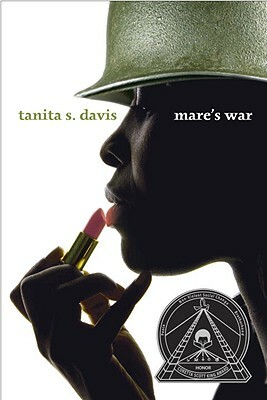 In addition to Mare's War, Coretta Scott King Honor winner TANITA DAVIS has written one other YA novel for Knopf, A la Carte. She was inspired to write Mare's War while researching her family's history: "I discovered an America I had never seen," said Davis, and it is that America her book brings to life.